Winning Design: "Tool for Translation" by Joseph Goodwin (Photo: Business Wire). NEW YORK--(BUSINESS WIRE)--The theme “Wood, Trees and the Forest” inspired students at the Maine College of Art to design uncommon chairs for the 14th Annual Wilsonart Challenges Student Chair Design Competition. Each entry was inspired by the powerful, often personal connection the forest provokes and informed by complex forestry issues surrounding the use of wood. Students used patterns from the Wilsonart® Laminate Collection. The winning chair and five runners up will make their first public appearance in booth #2211 at the 2018 International Contemporary Furniture Fair (ICFF) in New York. 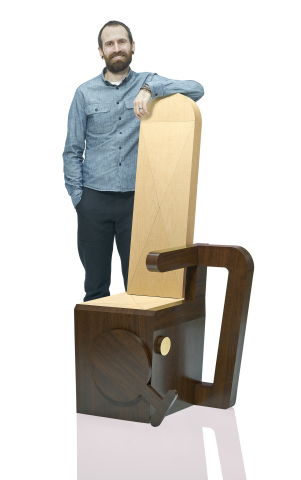 “Wood, Trees and the Forest” inspired students to design uncommon chairs for the 14th Annual Wilsonart Challenges Student Chair Design Competition.